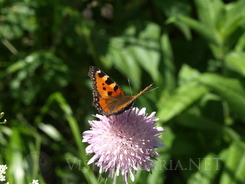 Smolyan municipality will host the first “Festival of the wild flowers.” The official opening of the event will be held on June 21 in Smolyan. The program of the festival will present various tourism options and attractions in the region. Botanic and cycle routes through the colourful meadows of the Rhodope mountain, lectures for the healing qualities of the local herbs, a well as ateliers for traditional and art crafts will be presented at the event. Visitors will have the chance to indulge in the local atmosphere of a working bee at Sivino village and learn how to prepare couscous . Herbal tea and local culinary specialties will be tested. Children will be surprised with interesting entertainment program. During the festival in Mogilitsa village will be held the traditional “Festival of the national craftsmanship and crafts”, where the unique custom “Adrelez” - a dance of the water and flowers will be performed. The residents of Gorna Arda village will present the custom “Eniovden” and the children from kindergarten “Rodopchanche” in Smolyan. The culmination of the festival will be the folklore singing competition “Izvoren glas”, which will be held in Smolyan on June 29th.